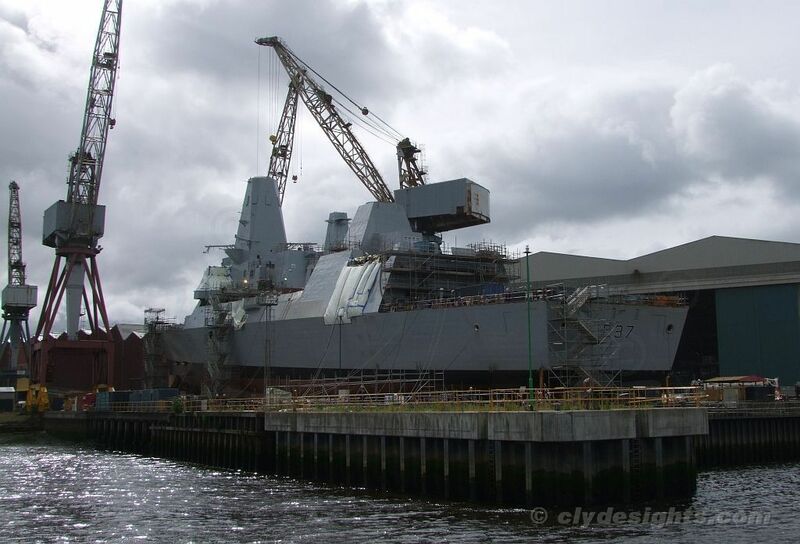 The last of the current batch of Type 45 destroyers takes shape at the Govan Shipyard of BAE Surface Fleet. DUNCAN, as she is to be named, is due to be launched on Monday 11 October at 15:37. She is likely to be the last large ship to be launched on the river for the foreseeable future.